Notice that there is a little dispute as to the top of the range if you compare Sonora versus LabCorp, but that both are fairly close and could be explained simply by differences in equipment and methodology. "So, I have been taking 20mg dhea and 30mg pregnenolone in a compounded tablet through defy medical. Also, taking HCG 250units EOD. Then, .10ml Tcyp EOD. My dhea went up to 293 from 170. That's good maybe want to go higher though. My progesterone though went from .4 to .1!!!! This seems crazy!!!" "Of course since LabCorp inexplicably changed their progesterone reference range about 3 weeks ago to basically zero (previously 0.0 -1.2 changed to 0.0 - 0.1) virtually ALL patients have shown "high" for progesterone on their LabCorp reports simply due to the ridiculously low reference range. I'll be sending LabCorp execs a thank you card for Christmas to show my appreciation for the lost productivity attributed to having to explain this very fact to every single patient with NORMAL progesterone levels...I'm frustrated beyond belief with the irrational change in reference range for progesterone from LabCorp. I've got an email in to the medical directors, but likely won't receive a response. 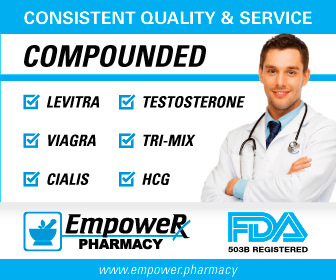 According to their new "reference range"...95% of the NORMAL male population will have "high" progesterone levels. I literally have to explain to EVERY patient why their 0.2 or 0.4 or 0.6 progesterone level is completely normal and it's just smoke and mirrors due to the lab report."